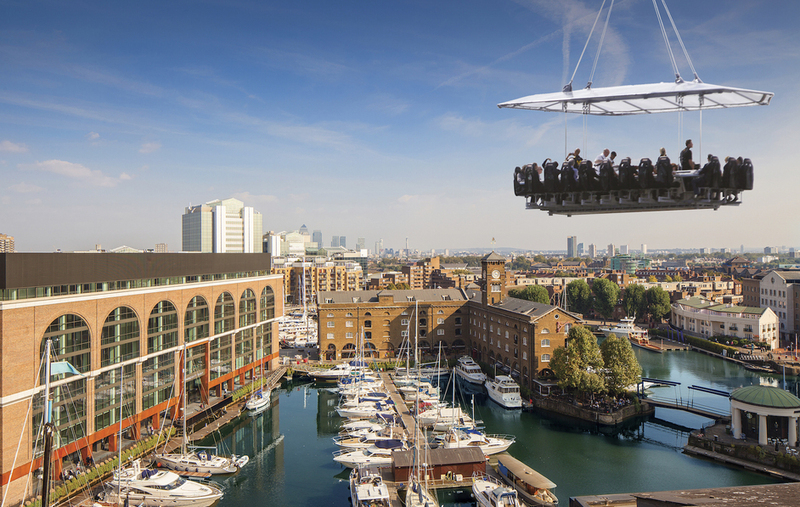 Last year's inaugural London in the Sky event - when adventurous diners were treated to a three course meal 25 metres above Canary Wharf - was so successful that it's back in 2015 for an extended fourteen-day stay. This time the platform will be suspended above the South Bank - changed from its original location at St Katharine Docks - next to the BFI, Hayward Gallery and Queen Elizabeth Hall. The air-bourne restaurant which seats 22 (strapped in) guests employs some of London's finest chefs including Dan Doherty of Duck & Waffle, Robert Ortiz of Lima, Mark Sargeant of Morden & Lea, Sophie Michell of Pont St, and Mike Reid of M Restaurants. Martin Morales of Ceviche and Andina brings breakfast in the first week, and Tom Aikens of Tom's Kitchen cooks up the last lunch and supper. But it doesn't stop there. Top chefs Calum Franklin of Holborn Dining Room, Chantelle Nicholson of Tredwell's and Peter Weeden from Newman Street Tavern are all serving their signature dishes at the dining room in the sky. It takes 'haute cuisine' to another level. What are the best dining options near London in the Sky London? London in the Sky gyms, sporting activities, health & beauty and fitness. The best pubs near London London in the Sky. London in the Sky clubs, bars, cabaret nights, casinos and interesting nightlife. Where to have your meeting, conference, exhibition, private dining or training course near London in the Sky. From cheap budget accommodation to luxury 5 star hotels see our special offers for South Bank hotels, including The Royal Horseguards - A Guoman Hotel from 81% off.